Knife collectors cherish their knives like any other collector or hobbyist. If your collection has started to grow and take up a lot of space, a time will come when you find yourself needing to place some of your knives in self-storage. In order to ensure that your knives retain their quality, it is important that you follow a few steps to ready them for self-storage. 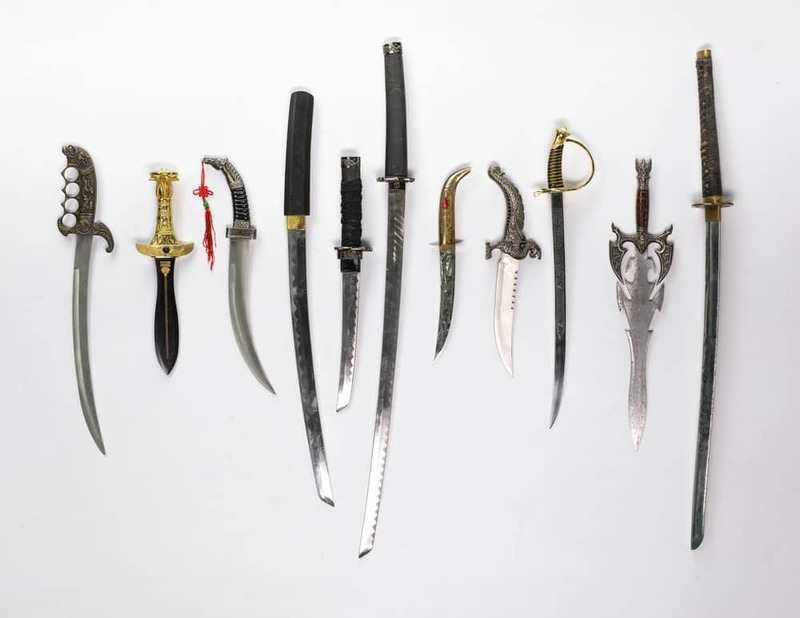 Today, Affordable Family Storage will discuss some important steps you should take to prepare your knife collection for a stay at our (or any) storage facility. First, you will want to clean your knives thoroughly. Simply use warm, soapy water and scrub your knife gently until clean. After you have washed the knife you will want to thoroughly dry your knife to help prevent potential rusting. Once your knife is completely dry, you will want to apply vaseline or a light oil such as WD-40. There are multiple different types of oil that you can use for your knife. Some people even use mineral oil. Just ensure that it is not a lubricant that will grow acidic over time. Apply to any metal on your knife including metal pieces on the handle. Avoid applying too much oil, just enough to coat the blade and wipe away excess. Wrap your knife in a cotton cloth to protect it from dust and debris. If your knife is a sheath knife, avoid storing your knife in a foam insulated sheath. Foam holds moisture and the last thing you want your knife stored in for long periods of time is foam padding. Plastic containers are okay for storage, though you may want to insert a silica packet to absorb any excess moisture. Place your collection in a climate-controlled self-storage unit. This cannot be emphasized enough. Storage that is too dry can cause your handles to crack, especially if they are made of bone or horn. Storage that is too humid can cause moisture to form on your blade and can ruin your knives with rust. A climate-controlled facility will ensure that your knives stay in a stable, controlled climate and will protect your knife from the elements. In Need of a Self-Storage Unit? At Affordable Family Storage, our self-storage units are climate-controlled and protected by our security 24-hours a day. If you need a self-storage facility that will ensure your belongings remain safe and sound during their stay in storage, Affordable Family Storage is for you. Contact us today to learn more about our state-of-the-art facility at 712-794-4648.